Tonight at Eco Dive Center 7pm Captain John Kades will give us divers a talk, join us for Pizza (no BBQ in the rain) and good times. Who's this Captain John Kades, well, he has been an investigator and deputy coroner for the Los Angeles County Coroner’s Office for over 15 years. He is an active scuba diver since 1981 and has spent 14 years as a public safety diver for the Santa Barbara County Sheriff’s Underwater Search and Recovery team. He has been a member of the department’s Special Operations Response Team (SORT) and is specialized in disaster operations, drowning/SCUBA cases, aircraft fatalities, and skeletal/buried body cases. 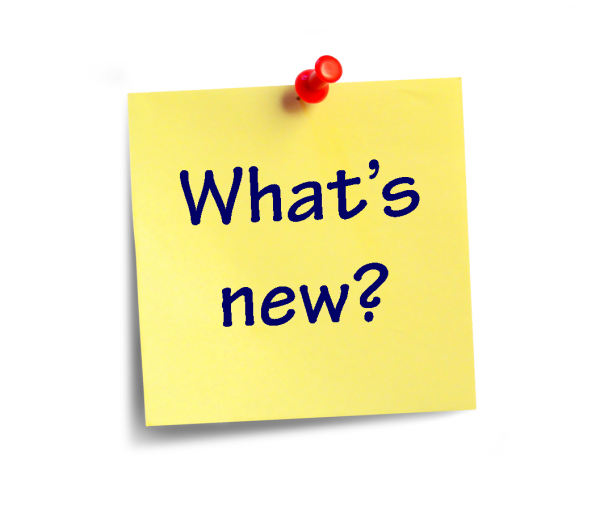 As a member of the California State Coroner’s Association (CSCA) Captain Kades serves on the Association’s coroner curriculum development committee that recommends training standards for death investigations. He has a BA in criminal justice from UC Santa Barbara. Captain John Kades from the LA County Coroners Office comes to Eco Dive Center to update us on 2015 dive fatalities and how it compares to previous years. He will discuss common dive accidents and prevention techniques so you don't become a 2016 statistic, EeeeK! A few weeks ago some Israeli divers chanced upon nearly 2,000 gold coins that had been underwater in the Mediterranean for a millennia. This was the largest hoard of gold coins ever discovered in Israel and theories abound. Scientists have posited that perhaps it's the remnants of a shipwreck carrying tax money to the central government in Egypt. Or perhaps the coins were meant to pay military garrison salaries in Caesarea. Before you start diving shipwrecks looking for buried treasure, take the PADI Wreck Specialty Course. It teaches divers how to safely dive wrecks, which are usually located in deep water. It also teaches divers how to research the history of a wreck and determine the legality of salvaging, so you don’t end up on the wrong side of the law. After that, there are opportunities to search for sunken treasure like diving the Spanish galleon Nuestra Señora de Atocha in Florida. For $2,500 you get to dive alongside professional underwater treasure hunters and try your hand at finding your very own cache of precious, antique gold coins. Come join us on May 2 and 3, 2015 for our next Wreck Weekend in San Diego where you can earn your Wreck Specialty certification diving the 366 foot Canadian Destroyer “Yukon.” This could be your first step in being an underwater Indiana Jones or Lara Croft. Email tim@ecodivecenter.com for more details or call 310-398-5759 to sign up. Taking dive lessons in the winter? 1) Classes are smaller and boats are less crowded. The summer rush is over and warm water divers stay at home. Our instructors are still very eager to teach and you get more attention from the instructor with a smaller class size. 2) Winter is the perfect time to do certain specialties like drysuit and night. Buy a drysuit at Eco and get a free drysuit specialty class. A free class and beat the cold at the same time? That's a no brainer! With less daylight hours, extend your diving opportunities with a night specialty and see all the cool critters that hide out during the day like octopuses and pipefish. 3) Visibility usually gets better during the colder winter months. Our kelp forests also thrive in colder waters so with thicker kelp comes more marine life. These are the perfect months to work on your Fish Identification specialty and Underwater Photographer specialty. And don't forget...once you have your rescue certification and 5 specialties you attain the Master Scuba Diver rating, the highest recreational certification you can get as a recreational scuba diver! The name's Drew Stillman and I've lived in and around the ocean my whole life. A native California, I've been snorkeling and skin diving as long as I can remember. Growing up with a father that used to be a scuba instructor himself and a mother that is a certified diver, it was only a matter of time before I joined the club. It was the summer before my 14th birthday, I had done some snorkeling while on vacation with my parents in Hawaii when my father asked if I would like to try scuba diving, up for a challenge and just curious I accepted. It wad like nothing I had ever experienced, frightening, exciting, challenging and relaxing all at the same time. I remember wishing the dive would never end, that somehow I could just stay down here. As soon as we got back to California I enrolled in an open water scuba diver course and was certified as a junior open water diver. Flash forward 9 years and though I was still a ocean baby at heart, with school, jobs family, friends and life scuba had taken a back seat. Even after achieving a BA in Digital Media and freelancing add a graphic artist and designer there seemed to be something missing. Another 4 years go by when a trip to my parents in the spring changed the direction for everything. A photograph from my childhood, blurry and out of focus as it was, my father and I in the water with the widest smile I'd seen on my face in a long time. Suddenly remembering the feeling, the weightlessness and how everything was new, scuba diving is like seeing the world through new eyes, and I wanted to capture that feeling once again. The advanced diver course at Eco Dive Center was the start of my journey back to that place, in search of that feeling. Soon affer completing my advanced course I found myself hooked. The more I dove, the more I remembered about how much I loved the sport as well as cultivating my love for the environment, both above and below sea level. I couldn't stop, and before I knew it I had gone from advanced, to rescue to Divemaster. I love the community and culture of diving, what it represents and the great people that are involved in it, and that's what I want others to experience from it as well. Coaching, helping others to explore and expand their knowledge not only of our oceans and environments, but how we as individuals interact and learn from it as well. That's what drove me to be an instructor. To open up the world and your mind. If you haven't heard of Catalina's Blue Caverns, it's because it ain't an easy place to get to. The site is one of California's most strictly protected reserves, where nothing can be taken (including rocks and shells) and even anchoring is prohibited. The current is always going, so divers either need to get their Michael Phelps on or do a drift dive. Divers willing to make the effort to visit Blue Cavern Point enjoy a pristine dive environment, home to bold sheephead and calico bass. Down near the bottom are the titular caverns that are a rush to explore. Make sure that your lamp is charged up and ready to go! The Blue Cavern dive is certainly a rare one and will certainly make your dive buddies jealous, and for bragging rights you can tell them that you swim like a champ too. The other dive sight is Eagle Reef, where divers have recently spotted Giant Sea Bass and Eagle rays.The last time I was there, I found myself underneath a massive braid of kelp, where I found hundreds of tiny fish hiding beside me. 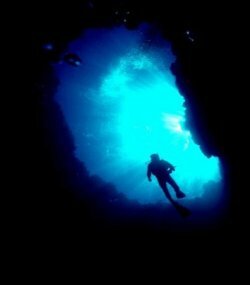 I was mesmerized by the sight, and my dive buddy had to come and snap me out of it. A wonderful dive. What's better than having a sea lion visit you during a dive? Lots of sea lions, of course! Santa Barbara Island's rookery is a pinniped lover's paradise, a nursery for many female California Sea Lions and their pups. 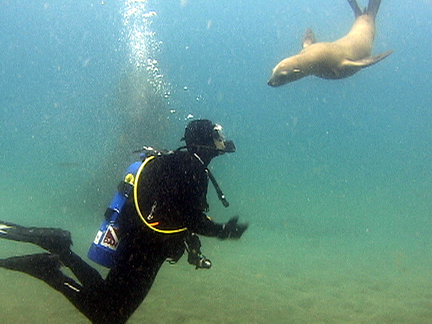 For those who haven't dived with sea lions, they are very playful and aren't shy about approaching divers. I've felt them buzz by overhead and zoom around to take a quick peek at you before ducking through a frond of kelp, only to reappear when you least expect it. Sea lions are very rarely aggressive towards humans, and make for great photo opportunities. The dive sites on Santa Barbara islands are worth visiting in themselves, home to vast marine biodiversity and purple hydrocoral. The sandy bottomed Arch Point is the ideal spot to get some video of sea lions playing in the kelp. This dive leaves from San Pedro with the Pacific Star, making it an easy drive for those living in the Los Angeles area. There is a lot of information coming at you via e-mail, and we know it's tough to keep your calendar straight in our busy lives. If it ever gets confusing when that Scuba Shindig BBQ might be or where the dive clean up is, all the information can be found easily on our Events Page. Anyone who has attended our events can tell you that it's not only a good way to meet other scuba fans (or maybe run into that cute dive photographer you dove with last weekend) but it's a fantastic way to expand your scuba knowledge, give back to the ocean community, and even win prizes and free boat tickets. It's always worth your while, so make sure to stop by the events page and see what you can make it out to. This past weekend I got to witness rebreather divers in action, so I thought I'd do some research on rebreather technology. Rebreather diving actually predates SCUBA diving by several decades, the first being the Fleuss Rebreather. Invented by Henry Fleuss in 1878, it composed of a breathing bag, a copper tank of oxygen, and a rope soaked in caustic potash that served as a crude carbon dioxide scrubber. This device became an important part of WWII naval operations, and is a milestone in underwater exploration. Modern rebreathers operate on the same basic principle, though they now are controlled by computer and many divers use some variation of trimix to reach extreme depths. Rebreather diving has always been used by military and commercial divers, mainly because it does not release bubbles. 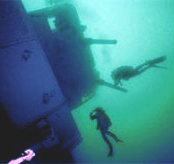 Navy divers needed to be difficult to detect by enemy ships, and commercial divers needed approach fish without spooking them. Most of all, rebreathers can reach immense depths without running out of air. Here in Los Angeles, and even further away, we've had sharks on the brain recently. From the July 5 Manhattan Beach pier shark bite incident, to numerous August juvenile shark sightings-the most dramatic of which prompted temporary San Clemente beach closures-we can't seem to get these apex predators off our minds. Add to that Discovery Channel's recent airing of its 27th annual Shark Week, and the impending 40th anniversary of the movie Jaws, and you have a recipe for shark obsession. Unfortunately, the overall-arching theme of this recent shark fixation is fear. Sharks are often depicted as gigantic, mindless eating machines lurking beneath the waters waiting for their next unsuspecting swimmer snack. Yet nothing could be further from the truth. According to Oceana: "Over the past five years (2006-2010), an average of 4.2 fatal shark attacks have taken place each year world-wide." Compare that to the number of sharks killed by humans. New statistics from the most comprehensive study on illegal shark killing ever completed estimate that 100 million sharks are killed every year around the world. This number far exceeds what many shark populations need to recover. Ironically, the sharks should be afraid of us, not the other way around. With 350 known species that range in size and shape from the great whale shark (40 feet long) to the dwarf shark (6 inches long), sharks are ancient creatures, and have been around longer than any other animal, probably as many as 400 million years. Sharks are beautiful, fascinating creatures for scuba divers to observe underwater. So to quote Bruce-the-shark from the movie Finding Nemo: "I am a nice shark, not a mindless eating machine." Sharks are friends. Let's protect them, not fear them. After Thursday Night's classroom prep we were all reeled up and ready to dive "Wreck Alley". It's an area just off the coast of Mission Beach where sunken ships and other structures have turned into a reef where hundreds of sea creatures are thriving. Once Saturday afternoon finally arrived a group of 19 divers, including ten students and two Eco instructors, boarded the Marissa dive boat with deep sea penetration in mind. The first stop was the Yukon; a 366' Canadian destroyer sunk in the summer of 2000. After a quick history lesson and overview by the crew we were ready to get wet. Two dives on the Yukon were still not enough to explore the entirety of the ship. 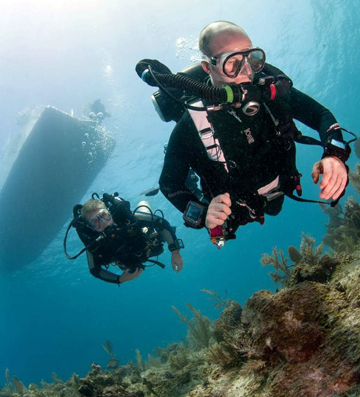 At depths between 65'-100' and a large amount of deck space to cover, every dive is a different experience. Covered in metridiums, the Yukon is an exciting and eerie dive all in one. The second and fourth dives were done at the Ruby E; a 165' former Coast Guard Cutter. Sunk back in 1989 the Ruby E. is now covered in strawberry anemones, nudibranchs and home to large schools of blacksmith and bass. After 3 great dives between the Yukon and the Ruby E. we were finally ready to penetrate! On our fourth dive we penetrated the Ruby E.'s wheel house. The big openings gave us easy access for our first time. We penetrated in buddy teams and boy was it exciting. As if four dives with a great group of people wasn't enough we managed to fit in a little extra fun by going out in San Diego's Gaslamp Quarter Saturday night and snorkeling with leopard sharks in La Jolla Shores on Sunday afternoon. Topside bonding over dinner and drinks really added to the whole experience of the weekend. And snorkeling with dozens of leopard sharks was the cherry on top of the whole Wreck Weekend.